A year ago we were running off to play on the new Rift server that Trion Worlds launched in order to harvest some of that sweet, sweet video game nostalgia so many of us seem to harbor. Called Rift Prime, it was going to bring us back to they heyday of the Rift saga. It seemed like a good idea at the time. Little did we know that it was something of a last gasp move for Trion Worlds, which would sell its assets to Gamigo in October before being dissolved. And the whole thing seemed to kick off pretty well. The server was full of people. The original content was fun. Off we went. However, while it was charming to start with… there was plenty of fun and memories… it didn’t seem to be able to sustain itself. For retro servers like this, the timing of content unlocks is a key aspect, and Trion waited a long time before getting on to the first expansion. That was a mistake. The next expansion didn’t unlock until early October of last year, long past the point when most of the returning players had run through the content and wandered off. Then again, the first expansion was Storm Legion, which broke the game for some people, myself included, something I wrote about at the time, and was criticized by even those who felt loyal to the game. To my mind, Storm Legion did as much to kill Rift’s momentum as anything. There is no mere coincidence to my mind that Rift went free to play less than nine months after Storm Legion launched. Somebody pointed out to me in a comment thread that lots of people were there at the Storm Legion launch. And that is true. There was a lot of hype for it. I was there. But there was also a lot of hype, and huge sales, around Warlords of Draenor as well, and not too many months down the road the WoW subscription numbers were dropping so much that they stopped reporting them altogether. So I don’t think it is entirely unfair to say that Storm Legion killed Rift, at least Rift as we knew it. And I guess it has done it again. A couple of weeks back Gamigo announced that they would be shutting down the Rift Prime server Vigil. And the target date is tomorrow at midnight. There is, of course, a plan up in the forums as to what will happen to your characters. The Vigil server will be going away. It won’t be merged into another server. Characters will be moved to the US trial server, Reclaimer, and you will be able to transfer them to any other live US server from them. Tough luck if you want them on an EU server however. Also guilds, and things in your guild bank, all of that will disappear. Better log in if there is something you want to save… though you do have to subscribe to get access, so it had best be worth that expense. There are more details about what happened to souls you purchased and so on at the link. As for lessons, I suspect there are some to be had here. First, I think there is always an audience for this sort of retro server. At least a day one audience. Nostalgia, the memories of the good times, will sway people. A good chunk of those people won’t stay for long. Login queues and such are usually done in a week, if not sooner. Second, those that remain will consume the old content at a rate well beyond how it went at launch. When they run out of content and tire of alts, they will wander off as well. Third, some games are better suited to the retro server thing in general and keeping people in content specifically. EverQuest, 20 years old with 25 expansions, is perhaps the ideal case; big fan base, lots of nostalgia, no end of content. EverQuest II is okay for content, it just lacks the fan base of the original. 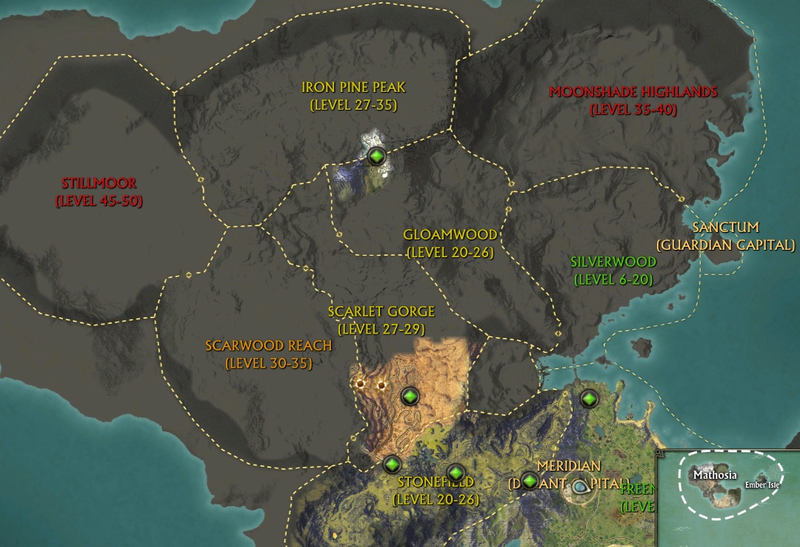 LOTRO may find itself a bit lacking, with the Siege of Mirkwood a likely barrier for some. World of Warcraft doesn’t have a lot of expansions, but it has a huge crowd ready to return for WoW Classic. Rift however… Rift has a reasonable fan base, probably more in the EQII range overall, but it is there. It just has the Storm Legion problem. And so it goes. Come Monday Rift Prime will be a bit of MMO history. This entry was posted in entertainment, Rift and tagged Rift Prime on March 30, 2019 by Wilhelm Arcturus. Returning to the round up of 2018. 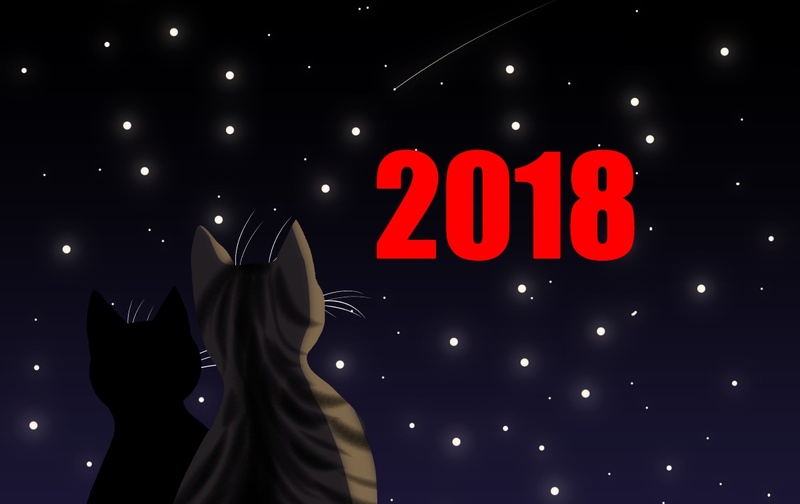 Most years I have something of a forward looking post in which I try to pick and/or guess at what games I might play in the coming year. It remains a good reason why I don’t do monthly gaming goal posts or the like. My ability to forecast my gaming mood is pretty iffy. If I simply said I was going to play the same old stuff as last year and the year before, I would be pretty spot on. There were years when almost nothing I was looking into shipped. And, to give myself some minimal credit this year, I did in fact go and play Anarchy Online for a few hours. I have the screen shots to prove it. But I didn’t spend much time with it and I didn’t make any attempt to play anything else on the list. In think the big lesson from that was that nostalgia is necessarily transferable. I’m okay going back and playing EverQuest now and again and dealing with all the archaic aspects of it, but only because I was there when that was the state of the art. Anarchy Online just felt old and awkward without any redeeming happy memories. So what did I play in 2018? Well, I have a handy chart for that! Belghast does a chart like this, and I have copied him before and am back at it again. EVE Online was the staple of my MMO year. I’m not as invested in it as I once was, but I enjoy watching it and talking about it still and I am good for a few fleet ops a month. Pokemon Go is sort of an MMO, and getting more like one as time goes along. It is also the one game my wife and I play together, and it doesn’t take much time out of your day to keep up. It probably helps that my work campus has six Pokestops and a gym. World of Warcraft ebbed and flowed. I was finishing up Legion early in the year, unlocking flying and all that. Then there was a break before I came back in the warm up to Battle for Azeroth. I still have things to do there, but have wandered off yet again. Minecraft, despite our world being very quiet of late, still got some attention from me, usually around big public works projects. I spent some time with Rift Prime. That was nice to go back to for a bit, though it also wore out on me after not too long. But that’s okay, I only feel nostalgia for the base game. EverQuest II came and went twice. I did have a pretty good run with my berserker up to level 100, at which point the game went back to its coy mode of indicating where I ought to go next. But EverQuest II crapping out was fine because the LOTRO Legendary server came along and, despite my skepticism, I was clearly into that. I did take a serious run at Shroud of the Avatar. It is an odd, awkward, seemingly deliberately archaic game. I wanted to like it a lot more than I actually did like it however. As happens with these sorts of things, in the end my subconscious won’t let me log in and waste time playing something that I am not really enjoying. At least not for very long. Then there was the flash in the pan for both Anarchy Online and Black Desert Online. I played both for about the same duration and then walked away. So that gets me through MMOs. But I did play some other games over the course of the year. I mean, look at that big empty space in June. I was surely playing something else. Some of those I have written about, like Vietnam 65. Some are games I just return to over and over, like Civilization V and Age of Empires II. There are a couple I should write about, including Oxygen Not Included and Bomber Crew. Then there are the usual tales of buying things after 8pm on Steam because they were on sale despite the fact I could guess these games were not for me. Fallout 4, Sudden Strike 4, and Hearts of Iron IV all got me to fall into that trap. Lesson there, don’t buy anything with the number “4” in the title. And finally there is Train Simulator 2018. There is a post about that coming. Basically I said I would do something with it if the right circumstances arose… and they did. So I felt compelled to live up to that past statement. That is where I spent the bulk of my gaming time in 2018. I think for 2019 my forward looking statement will probably be simply more of the same. We shall see. It isn’t January yet. I often come out of the holiday season rested and optimistic. This entry was posted in entertainment, EVE Online, EverQuest II, Lord of the Rings Online, Minecraft, Rift, Shroud of the Avatar, Steam and tagged 2018 on December 24, 2018 by Wilhelm Arcturus. I used to be on the press mailing list for Gamigo, and the opinion I formed of them based on that wasn’t exactly stellar. They seemed like a publisher of second tier MMOs that often had names which sounded vaguely like other, more popular games. Wasn’t there a Desert Combat mod for Wargame 1942? There is a market in being mistaken for somebody more popular I guess. They also bought Aeria games a while back and added their MMOs to the list. I think the title of theirs I most recognize is Fiesta Online, though I couldn’t tell you why. Maybe Bhagpuss played it. I’m sure he has played others off of the long list on their site. There is nothing that looks offensively bad there, but nothing that looks all that appealing either. As I said, second tier stuff, a crowd of familiar ideas in an already crowded market. So I knew who Gamigo was when it was announced yesterday that they were buying Trion Worlds. Sort of. I knew enough that the news wasn’t good for people working at Trion, something confirmed not much later when it was reported that 175 of the 200 employees of Trion had been let go. Having 25 people left gives them about enough staff to keep the servers running, maybe apply a security patch now and again, and transfer control to the new owners before being let go further down the road. The gamigo group is one of the leading German companies in the gaming business with more than 250 employees. gamigo offers more than 30 online games, focusing primarily on MMOs (Massively Multiplayer Online Games) of various genres. The portfolio includes first-person shooters (i.a. S4League and Ironsight), fantasy role-playing games (i.a. Fiesta Online and Aura Kingdom), and build-up strategy games (i.a. Desert Operations and War2Glory), as well as more than 500 casual games. This variety has been constantly extended by company aquisitions (i.a. 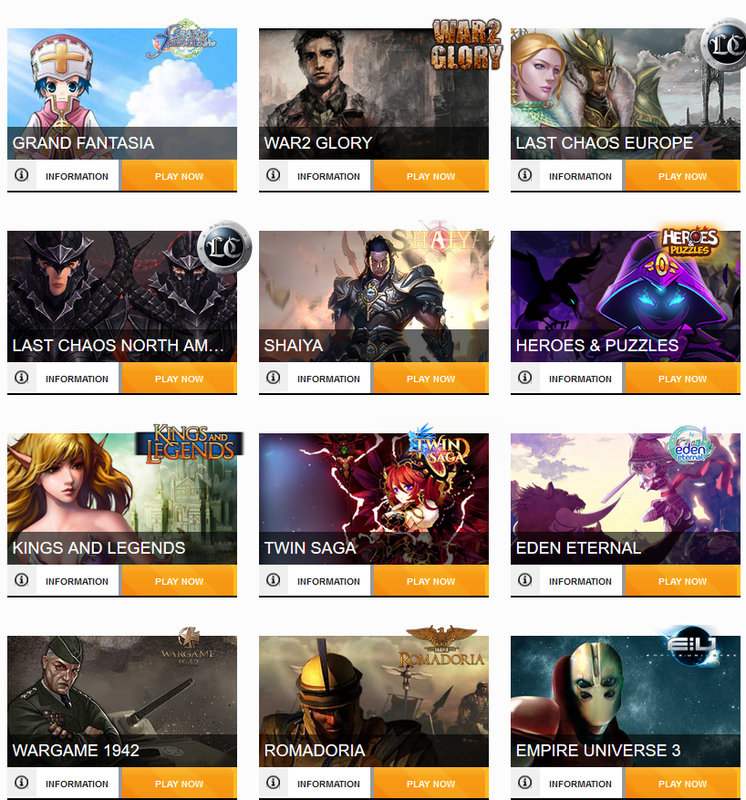 Intenium, Looki Publishing, Aeria Games) and the purchase of games licenses (i.a. Fiesta Online, Last Chaos). The B2B area has been enlarged too. gamigo follows a clear platform strategy and is constantly expanding through the acquisition and integration of new subsidiaries (i.a. Mediacraft and adspree media). It is gamigo´s main goal to build up a diverse, unlimited and global platform for online and mobile games, and to provide its services to other players on the market. Besides 5 German locations, gamigo operates further international offices in Warsaw (Poland), Istanbul (Turkey), Chicago (US) and Seoul (Korea). This comes with an inspiring chart. Nothing screams commitment like having 25+ MMOs and 500+ casual game supported by less staff than works on World of Warcraft. Trion had 200 staff just to handle its five MMOs, Rift, Defiance 2050, Trove, Atlas Reactor, and ArcheAge, and it was only the publisher of the last. 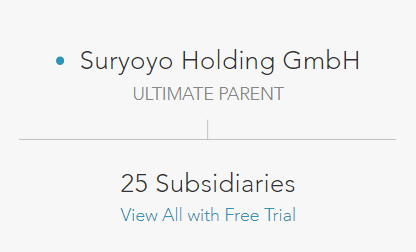 And Gamigo itself is in a nest of companies. It is reported to be owned by Samarion S.E. which is, in turn, owned by Solidare Real Estate Holding plc according to Bloomberg. And they are just a holding company for Solidare Real Estate Holding GmbH, a company founded by a Turkish family 15 years back, according to its web site, whose focus is building high density housing in Germany. And even that rolls up to Suryoyo Holding GmbH, about which I couldn’t find much, at least not without handing out information of my own. So it is a money machine for somebody somewhere. I wouldn’t be surprised to find Russian oligarch money in the mix at some point in the food chain, probably via a subsidiary in Cypress. As for why Trion Worlds was sold, no company stands alone. As we saw recently with CCP, when your investors tire of you not providing a level of return they expect, they will sell you on down the line. CCP got lucky, relatively speaking. Trion Worlds, less so. Their backers (because Scott Hartsmann didn’t fund this venture out of his checking account) likely wanted out of an underperforming investment. And so it goes. What does it mean if you play Rift, Defiance 2050, Trove, Atlas Reactor, or ArcheAge? Today, tomorrow, and next week, probably nothing at all. The games will keep on ticking over, the servers will stay up, the cash shop will continue to prompt you to buy. That is, after all, what Gamigo wanted out of this purchase, an expansion of its already large stock of online games. There won’t be much shut down… well, maybe Defiance and Atlas Reactor. I don’t know how well those two are doing. But the other three will no doubt be sticking around. But if you’re used to frequent updates or special servers or live events or getting responses in the forums (or even having forums I imagine) then you’ll probably find that is about to change. Gamigo’s community outreach seems to be mostly in the form of Facebook ads. I feel for those who got laid off. I’ve been down that road a few times. Fortunately for the technical team, the economy in the SF Bay area is very hot right now (Seattle as well) and their skills are all in demand… if they want to get out of gaming and get a pay raise. If they want to stay in that industry… well, there is EA and Zynga close by I suppose. But it is more likely people will end up moving, one of the costs of being in the video games industry. As somebody pointed out in the comments of the post about this over at Massively OP, there were signs that something was up, listing out a series of stories the site ran that added up to what happened yesterday. It is, in its way, the end of another story in the MMORPG niche. Trion Worlds started as a feisty upstart, taking on Blizzard directly, trying to out-do World of Warcraft by being more nimble and more aggressive. There was definitely some hubris in their messages at times, something I might be inclined to pin on David Reid of “Tabula Rasa – Triple-A and Here to Stay” fame. For example, Trion was straight up claiming that the 600,000 players that dropped WoW at one point during Cataclysm (Remember when that was a big drop?) were playing Rift. In the end though, being small and nimble also means not making any mistakes. Blizzard has the mass to lumber through the ups and downs, but Trion Worlds had to get things right every step of the way or face imminent demise. For me the Storm Legion expansion stepped away from what made the game great at launch, trading tight zone design for more space that meant schlepping back and forth for quests. That is anecdotal, but I know others who couldn’t find their way through that expansion. But whatever happened, Trion had to make changes. The market pretty much demanded that Rift go free to play in order to survive. They started with what I felt was an over-generous free model and had to tighten things up later, which is always hard to justify to your players. They ran with new titles, Defiance with its tie-in with SyFy and Trove to tap the Minecraft niche with more color and options. They tried to be a publisher and sales portal akin to Steam with their Glyph launcher. And they became the US publisher for ArcheAge, hoping it would be lucrative enough to put up with the heat that always goes with having to front somebody elses’ work. In the end, it wasn’t enough for somebody. And so we say farewell. Trion’s games will be absorbs into Gamigo’s list. Those that can make money without much minding will carry on, and those that can’t will disappear. I am glad I went back and played Rift Prime earlier this year. It gave me a taste of the early game I enjoyed. This entry was posted in entertainment, Rift and tagged ArcheAge, Atlas Reactor, Defiance, Gamigo, Rift Prime, Trion Worlds, Trove on October 23, 2018 by Wilhelm Arcturus. May always seems so quiet after the bustle of April and the April Fools traffic it gets. May is down 50% when it comes to page views. I suppose that is what happens when not much happens. The most viewed posts for the month reflect this as the old Google search favorites return to the top of the list while things I actually wrote in May are somewhat scarce. So, looking further afield, what was the biggest thing to happen this month? Probably GDPR. Nintendo announced the new 2DS XL hardware. It seemed like a deal, since all it was missing was the somewhat unloved 3D option. Being a bit down on crowdfunding MMOs, I was wondering who was backing Ashes of Creation. 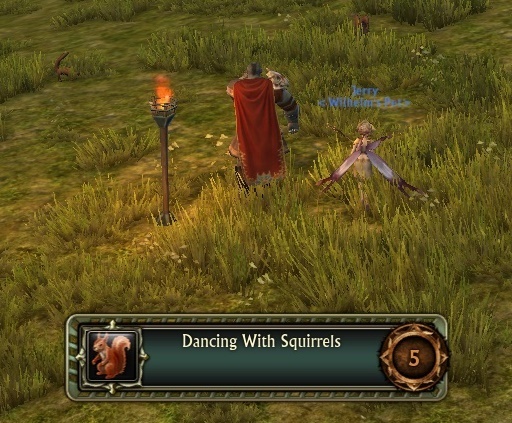 Daybreak was giving out free level boosts… again… in EverQuest II. Over in the land of Everquest, the new Agnarr limited progression server went live with a promise never to progress past the Lost Dungeons of Norrath expansion. I wondered about the life of progression servers and if this attempt to make a perma-retro server might extend beyond Daybreak. I returned to the land of the ten dollar horse of legend, Runes of Magic. 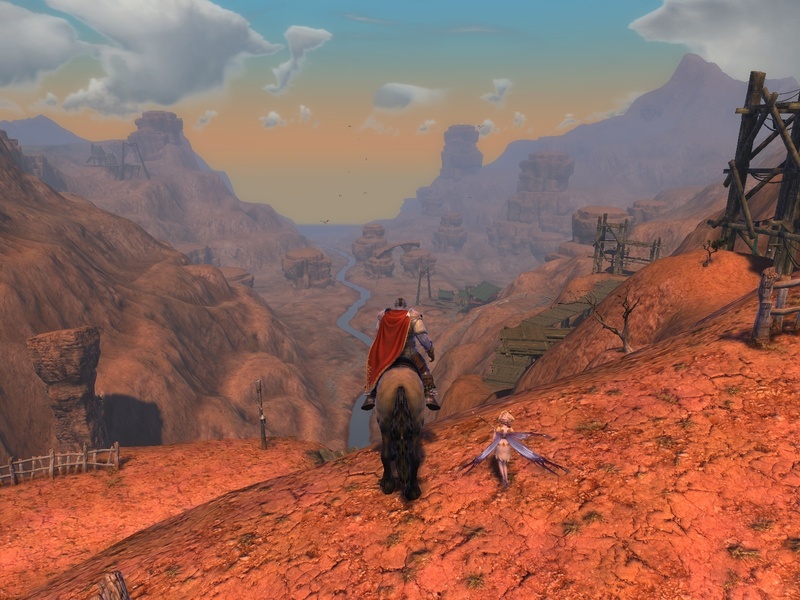 Once a trailblazer, an Asian MMO built for the west and designed on the free to play model, in some ways it is very much stuck in time. And I am not just talking about the archaic patcher. It still feels like it did back in 2009. Which isn’t a bad thing, really. Look how popular retro servers are now. And it isn’t a bad MMO either. I worked my way through to the first big city, explored the cash shop, and carried on through the month until the grind started to surpass any sense of nostalgia I was feeling. As with many such games, if I was playing with a group it would have been fine, but as a solo venture it had its limits. EVE Online turned 14 years old. I was again looking at the monthly economic report where Delve was leading null sec in ratting and mining and the Rorqual remained the top mining ship. The May update for EVE Online gave us new PLEX and the Blood Raiders ship yards. New PLEX was a money making opportunity for some. New PLEX went well enough that CCP decided to covert the Aurum they gave away for free sooner than expected. And then there were the new small skill injectors. The first Blood Raiders ship yard showed up in Period Basis. I went to go visit it. After some trial and error the Imperium went old school and reinforced it with a mass of T1 frigates. I missed the destruction (and TEST swooping in with interceptors to steal the loot) but still managed to get blown up by the leftover Blood Raider forces. A dread can one-shot an Ibis. In other ops in New Eden we went to a brawl around an Astrahus in Catch and I manged to get my Cerb blown up trying to catch up with the fleet, which gave me an opportunity to try flying an interdictor. In a bullet points post I noted that Blizzard called Overwatch its eighth billion dollar franchise, but I couldn’t figure out what the other seven might be. Has Blizzard even had eight things one might call a “franchise” at this point? Also, SuperData was splitting WoW into East and West versions again. And I rather optimistically suggested that the Mineserver Kickstarter project might still happen. Ha, ha, ha, I can be so naive. I celebrated the five year anniversary of a blog. No, not this one. EVE Online turned 10 (I even made a movie) and reminded us of its true nature, while DUST 514 finally went live for real. Somebody was saying that there had only ever been two successful MMOs, EverQuest and World of Warcraft. I checked up on the Newbie Blogger Initiative to see who survived their first year of blogging. Camelot Unchained made its Kickstarter goal one day before their campaign ended. Success at the last minute is still success. The project code named Titan was rumored to have been pushed out to 2016. Meanwhile Activision-Blizzard announced that WoW had shed 1.3 million subscribers, dropping to 8.3 million total. And then there was the problems with the Diablo III economy. Rough times. The XBox One was announced. Or the name was. I didn’t like it. I made a chart about the relative natures of MMO economies. I was also musing about dangerous travel. We were starting to peek into NeverWinter as a possible game for the instance group, in hopes that we might have a hiatus from our long hiatus. We also played a bit of Need for Speed: World. Rift, ostensibly the game the instance group was playing (and which I was still playing a bit of), announced it was going free to play, which made me mutter about revenue models again. Our EVE Online corp decided to go play some Lord of the Rings Online, and so my relationship with Middle-earth continued and I was quickly in the Lone Lands. And finally, I wrote a bit about the first computer game I ever played, which led to some charts about my video gaming timeline. My daughter and I were finishing up the final battles in the base game of Pokemon Diamond as well as staging our own gym battles. In EVE Online CCP gave us a date for the Empyrean Age as well as giving us all a gift on the five year anniversary of the game. I still have that gift in my hangar. Meanwhile I was building battleships, working the regional price variations, dealing with the realities of production, refining my Drake fittings, and laughing at a the EVE Online guide to talking smack. Oh, and I was being propositioned in a standard Goon scam. Damn Goons! In World of Warcraft the instance group was doing some quests to level up a bit because the Mana Tombs were proving to be a challenge. We also did some mucking about with alts. And, in the industry in general, Turbine got $40 million dollars to play with (I wonder where that ended up?) while Age of Conan launched amid immediate declarations of success and failure. SOE launched PlanetSide, their MMOFPS. 3DO laid everybody off and filed for bankruptcy, leading to the end of the line for it and its subsidiary New World Computing, best known for the Might and Magic series. What Would Even Help This Genre Anyway? do people still play everquest in 2018? We got the big Into the Abyss PvE expansion for the game, which introduced Triglavian ships and modules, all obtainable via the deathtrap solo space dungeons known as abyssal pockets. In game, in null sec, in the north, things were exciting for various reasons. GotG announced they were going to stop trying to defend Fade and Pure Blind, which led to dissent in MOA, which lived in Pure Blind, and which decided to abandon its position there. And then Circle of Two came over to take up stewardship in Fade, giving the Imperium groups deployed in Pure Blind a new set of opponents to spar with. The Daybreak team was handing out level 100 characters again, this time with gear that would keep you from being squashed like a bug when you hit the latest content, so I went and made yet another character, a Shadow Knight. Despite a few hitches, I actually played a bit with him. A post about it to follow at some point. Still at level 32, but chugging along. The change up in available Pokemon and the occasional events keep things interesting. I did get one of those Alola Exeggutors… a few actually. They were on every street corner yesterday. I logged into Rift Prime for 21 days during May, collecting my daily prize until I got another mount, then stopped logging in altogether. And that is likely the end of that for now. Still a decent MMORPG, lots there to love, had fun in Freemach and Stonefield, it was great to be in the mass of players at low levels, but soloing along just wasn’t keeping me invested. In EVE Online the CSM 13 elections are slated to happen from 12 noon UTC (EVE Time) on 4 June through until 12 noon UTC on 11 June. Be ready to cast your ballot. Also coming to EVE Online is the great null sec outpost conversion, where all those stations in conquerable null sec systems will be converted to faction citadels. This is slated for June 5 and will result in a lot of assets that have been locked in hostile stations suddenly becoming available via asset recovery. I expect some last minute grabs at stations over the weekend. I may go play some more EverQuest II. Maybe. I have until June 7th to see if it is worth subscribing to… and I’d need to buy the expansion… for that one free level 100 heroic character. Is this the whole “giving away the razor then selling the blades” thing at work again? The Kickstarter campaign for The Flower of Knighthood will wrap up, though I cannot imagine why they haven’t cancelled it already. While it has gotten some more pledges, it still hasn’t managed to collect, all total, as much as it needed to get every single day of the campaign in order to fund. It is currently trending to hit 1% of its $600K target. The Summer Fantasy Movie League is kicking off with new rules. See the previous post for details and a link to join. We shall see how that turns out. I don’t usually mention FML in the monthly review post, do I? Finally, summer will commence on the 21st, my daughter will be out of school, and I will likely have to leave the house and go on a vacation or something. Yes, I am still playing Rift Prime, though I haven’t spent much time there over the last few of weeks. I’ve made a bit of progress, but events in New Eden and a growing sense of ennui has dominated my play time. While I was caught up in levels… or so I felt… I did linger about Stonefield for a bit longer to wrap up a few achievements. Alas, I could not find two more quests to get the achievement for that, but I did find the torch up on the rocks above Granite Falls for the Dancing with Squirrels. From there I headed into Scarlet Gorge, the next zone up the chain. I did notice that, as I passed into the zone there was a quest giver standing off to one side who gave me passage through the portal into Iron Pine Peaks. That was nice, and I filed that away for later, because in my head, IPP was a higher level zone and not something I would bother with at that point. Scarlet Gorge started as I remembered and I ran through the initial quest chain and followed it northward up the valley until it sort of stopped at about the mid point. It felt like I missed a chain or a turn somewhere. I rode further up and ended in mobs that were four and more levels above me. That wasn’t playing. My brain seemed to insist that there was more to do, but wasn’t pointing me at anything viable. I did recalled that I needed to go up the sky tram at the starting hub to an encampment up on one of the peaks. There I found myself just within the right level range, but that quickly led me into Scarwood Reach. I was still just level 27 so that did not bode well. In looking at the map however, I noticed that I had another option. I can still find references to Iron Pine Peak starting at level 41, but that appears to have been revamped somewhere along the way and was now right in the level range for me. I took a side trip up there into the snow and ice. So I headed through the local portal and went to play in the snow. The quest chain in IPP seemed familiar in that way things do when you’re been away for five years but still have bits and pieces of bouncing around in your head. 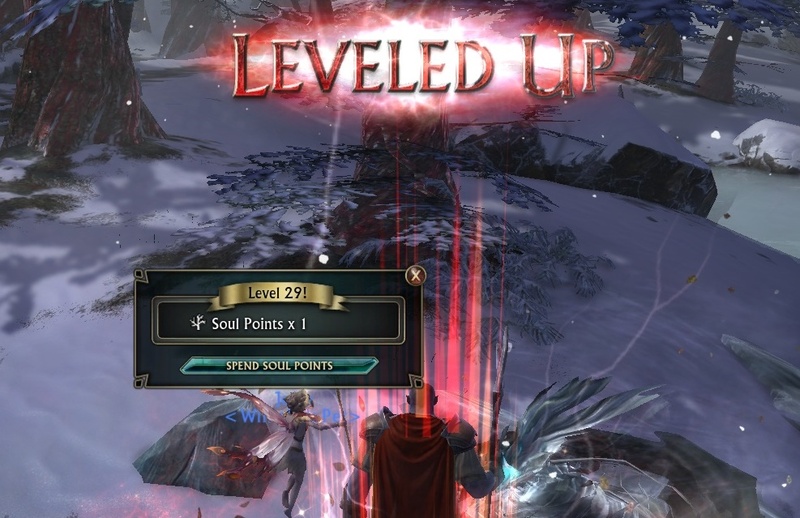 IPP was not one of my favorite zones, but I hauled around there through level 28 and into level 29. That done, I actually hit the portal at the west end of IPP and headed back to Scarwood Reach where I started in on the quest line there. For some reason Scarwood Reach is another zone that I remember pretty well, so I have been following the chain of tasks there. Scarwood Reach as a zone is pretty good and I have move through it well enough. Overall however, momentum in Rift Prime has clearly slowed down. The guild I am in, which was semi-active, with everybody playing at least a bit each week, has now pretty much dragged to a halt. I may be the only one who has logged into the game in the last two weeks. As I mentioned at the top of the post, activity in EVE Online has been eating up a good portion of my gaming time. But the ennui bit is also a factor too. I’ve probably played more Age of Empires II in the last week than Rift Prime in the last two weeks. I also had a good game of Civilization II going over the weekend, though that has reached a bit of a “me vs. the world” stalemate… which I still played for a while rather than log into Rift. I’m not calling it yet, but my nostalgia time here seems to be in peril. This entry was posted in entertainment, Rift and tagged Iron Pine Peaks, Rift Prime, Scarlet Gorge on May 11, 2018 by Wilhelm Arcturus. 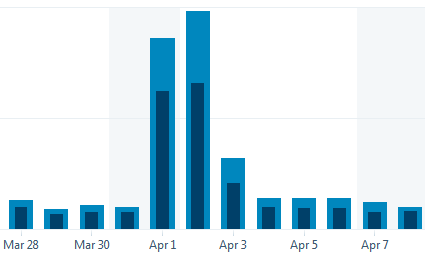 April first is the one day of the year that Google remembers I have a blog and sends me traffic in numbers reminiscent of the “good old days” of blogging, before the likes of Tumblr, Twitter, and Reddit hove into view. So my page views tend to spike a bit. Who doesn’t love April Fools? I get a bit of a compound boost from this as well. 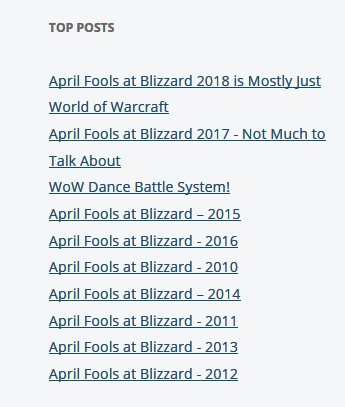 Since I have covered Blizzard at April Fools regularly for a while now, I include a list of past posts which, unlike almost every other such list or link in any other article I put up, people actually click on these. So my Top Posts list gets a bit skewed towards April Fools early in the month as well. That reflects itself again in this post down the page in the most viewed posts section. Rare is the item that can break into the dirty dozen every April, but a couple of posts made it. Of course it is all downhill from here for the rest of the year on the page view front. There was, of course, April Fools, but Blizzard didn’t seem up to its usual level of effort. Blizzard did make the original StarCraft free to play, no April Fools there. I was wondering if the plan to make mobs scale with your ilevel was going to make going back to World of Warcraft a chore. It seemed like a bad idea, but in the end it didn’t seem to matter much. I was going on about the 3K Blissey problem in Pokemon Go. Meanwhile I was finishing up Pokemon Sun and still felt like playing Pokemon, so went back to Pokemon Alpha Sapphire. There was the Lord of the Rings Online ten year launch anniversary. We would finally get to Mordor later that year. Daybreak announced the Agnarr server for EverQuest, a retro server designed to stay retro as it would not progress beyond the Lost Dungeons of Norrath expansion. In EVE Online Reavers were out camping Circle of Two in Impass, shooting their ratters and such. Asher later told us that this was to have us in place as they had a CO2 director ready defect. This was before The Judge did his thing. However that did not come to pass. I was going on about corpses in New Eden, which have their own special place in the game. I was also on about force auxiliaries and titan losses. In Iceland EVE Fanfest was under way. They had a presentation that gave some interesting data about what happened in New Eden over the last year. CCP also announced the winners of the CSM12 election and when/where EVE Vegas would take place. And there was a talk on the plan to convert Null Sec stations into citadels. We’re still waiting on that last bit. I also started looking at the New Eden Monthly Economic Report as a regular monthly item, something set off by how much ratting and mining was being done in null sec. I sharpened up my scanning skills, all the better to hunt MTUs. Also, according to CCP I lost 5 billion ISK in space wealth since the month before. In Minecraft I finished up the long road to the northern forest mansion; it took an hour to ride it on a fast horse. And then there was the crazy story of the Nintendo NES Classic, which they stopped producing even though it remained sold out everywhere. I was remembering the SEGA Genesis and NBA Jams. Our Wii seemed to be collecting dust and destined for retirement. Maybe one more round of Wii Bowling? On the iPad I was fiddling around with Vinylize Me. The Camelot Unchained Kickstarter had kicked off with a steep $2 million goal. With only three days left to go the campaign was $400K short. Not sure if Mark Jacobs’ dire vision of the future of F2P helped or hurt. Meanwhile, Lord British’s Shroud of the Avatar wrapped up its Kickstarter campaign over the $2 million mark, having doubled its $1 million initial goal. LOTRO turned 6 years old and I was wondering what lay it its future. World of Tanks hit 2 years and I was pondering tank crew skills and finally driving the KV-4 along with some other new tanks. Age of Empires II – HD Edition launched on Steam. I took another run at Need for Speed: World, which had added achievements. In Rift, I was wondering why the Storm Legion expansion just wasn’t grabbing me. I tried to press on. Meanwhile, the instance group spent evenings one person short trying to find something to do. The Burn Jita 2 event kicked off. People didn’t seem to be paying much attention to it before it started, but it got extended and ended up bagging 573 billion ISK worth of ships. CCP launched its EVE Online timeline as part of its prep for the 10th anniversary of the game. They’ve since thrown all of that away. But the Dev Blog about it is still there. I also had items from the mail bag about Darkfall: Unholy Wars, MegaWars IV, and World of Tanks Blitz. And it was kind of a quiet April Fools at Blizzard. I made up something for April Fool’s Day, SOE’s Graphite Realms! I thought it was amusing. Homstar Runner was getting a game on the Wii. 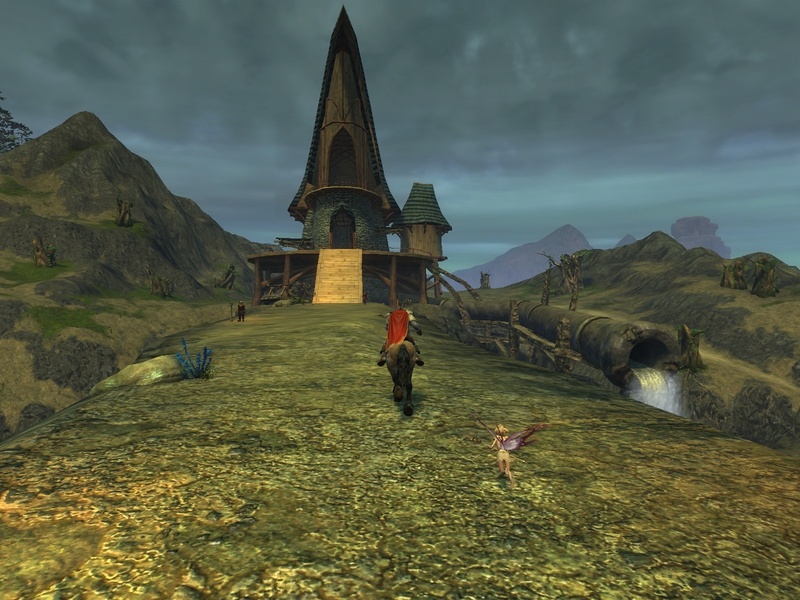 Lord of the Rings Online celebrated a year of being live. Book 13 introduced, among other things, fishing. And my video problems with the game proved to be a bad video card, so I was actually able to get into the game. Computer Gaming World/Games For Windows magazine ceased publishing as part of the ongoing demise of print media. In EVE Online I made the big move from Caldari to Amarr space. I also began producing Badger transports for fun and profit. CCP introduced the whole Council of Stellar Management thing, which I dubbed The Galactic Student Council. My opinion on it hasn’t changed much since. I also managed to get my hauling rigged Mammoth blown up in low sec space, which got me thinking at the recent profusion of those new heavy interdictors. Meanwhile in World of Warcraft one million people in China logged into the game at the same time. There is still no report on what would happen if they all pressed the space bar at the same time. While that was going on, the instance group finished up the Slave Pens and the Underbog and began the long struggle with the Mana Tombs. I was looking around for Tetris on the Nintendo DS. You would think that would be easy, right? And then it was Tipa’s turn to bang the EverQuest nostalgia drum, so I joined in yet again. I watch some of EVE Fanfest live, and more of it as videos recorded while I was still sleeping. Some big news out of Iceland this year. But we’re in the gap between hopes and reality now. In the game the deployment in the north carried on. With Pandemic Horde gone the Guardians of the Galaxy coalition in Fade, Pure Blind, and Deklein seemed to struggle with how to face an every growing guerilla war brewing in their space. Some interesting defections occurred when they decided to just not fight us. Now there is talk of GotG hiring mercenaries to fight us. Stay tuned. Basically, EVE Online ate up most of my gaming time this month. I even tried out the abyssal pocket content on the test server just to see what that was about. I have been pottering around in Minecraft. It remains a good game to play when you want to do something while listening to an audio book or serious podcast. I completed the long rail line to from the northern mansion and have just been tinkering around with other projects I’ve left around. I need to do a couple of posts about our server. I remain at level 32, but I have been doing some of the research tasks. As I noted earlier in the month, those are a nice bit of structure to keep people playing. I have ended up collecting a bunch of new Pokemon along the way. I kept on with Rift Prime this month, but did not spend as much time there as I planned. EVE Online, as noted above, ate up most of my gaming time. Still, I plan to carry on for another month at least, so I will go use some of my Rift funny money to buy another 30 Day ticket. After a weekend of focusing on this I haven’t really been back. Like I said, space battles called. I do want to continue with it some, or so I tell myself, but since it isn’t a subscription it sort of falls back in the queue most nights. Even Minecraft has a monthly server hosting fee. I petered out on Azeroth for the most part last month, so I let my subscription lapse in April, and that was that. I did get an invite to the Battle for Azeroth beta, but like the alpha, I have no real interest in spoiling the content before it goes live. 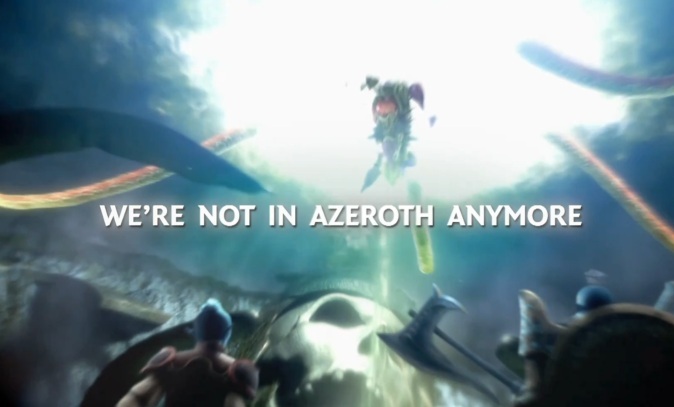 I will be back when the pre-expansion events start to hit. We’ll all be watching Daybreak in May to see what else might bubble up now that they’ve stirred the pot enough to get everybody staring at them. We’re all waiting on the current rumor that Daybreak owns Standing Stone Games via Jason Epstein’s cat or some such. And then there is the ongoing deployment in the north to keep GotG from being able to do their day to day ratting and mining. They are hiring Black Legion to fight us and there is a rumor that MOA is going to pull back from Fade and Pure Blind altogether, though not until the June 5th null sec station conversion, so we’ll see how that plays out. There is a huge update for Minecraft in the offing that will introduce a lot of new sea life. I’d be happy to see that in May. The Spring Season of Fantasy Movie League will wrap up this month, and the season ending on the Memorial Day weekend holiday and the launch of Solo: A Star Wars Story. Other than that, carrying on with whatever else it is I play these days. This entry was posted in entertainment, EVE Online, Month in Review, Rift, Shroud of the Avatar, World of Warcraft and tagged Pokemon Go on April 30, 2018 by Wilhelm Arcturus. No Trove of Mounts for You Today! I have not been playing as much Rift Prime this month as I might have. Other things have been taking up my game time like the fun in the north in EVE Online. Still, being the completionist nut that I am, I have been logging in just about every day to collect my daily reward, mostly because on the 21st day you get a mount. This morning was day 21… I missed a day somewhere… so I logged on to get my mount. Damn straight! I clicked on the claim button and… nothing happened. Which was odd, because there is usually something that comes up in the chat window and the ability to claim goes away. So I clicked it again and still nothing. 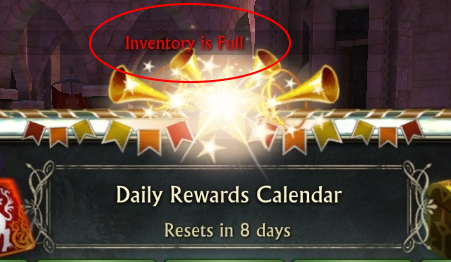 On the third click I noticed that an error was coming up in small red text above the rewards window indicating that my inventory was full. Well, dopey me, my bags were full, no wonder I couldn’t collected the mount. Only my bags were not full. There was ample space in my bags. So I started tinkering around with inventory, selling a couple of items to see if maybe a little more space would help. I checked my bank, which also had free space, just in case that somehow counted. I looked at the mounts tab to see if there was some restriction there. I dismounted from my own mount, just in case there was some flag that wouldn’t let you collect a mount if you were mounted. Stranger things have happened. But nothing helped. Meanwhile the game, as it is wont to do, was continuing the remind me that I had a daily reward to collect, blinking a button and putting a special little icon up on the mini-map. So I went to Google to see if this was a known issue, but there was nothing related. So I headed to the forums. At the top of the bug reports section I found somebody saying that they were having the same issue. There is always a moment of relief that it isn’t just me having a problem. A response to the report was given, consisting of a link to a post in the Rift Prime Vigil General Discussion forum. There I found that the ability to claim the trove of mounts had been turned off. 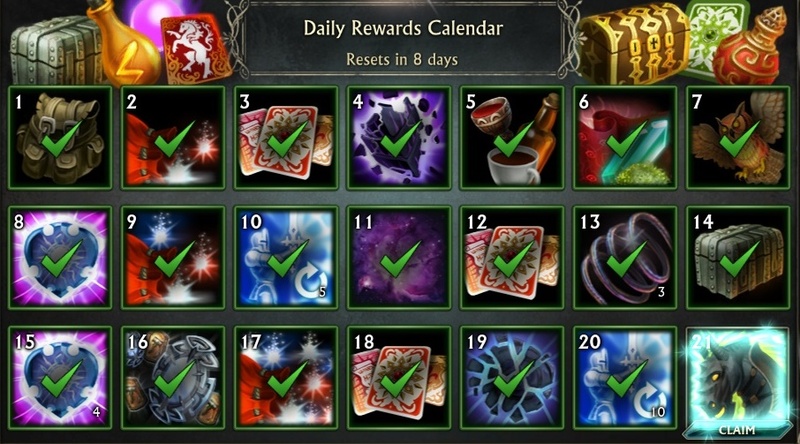 The Daily Calendar reward “Trove of Mounts” has a bad loot table and has been temporarily disabled. The Trove will be fixed and unlocked in the next patch. No CS ticket is needed. The box was giving out duplicate mounts (something it should NOT do) or no mounts at all. Any player that managed to collect their Trove in the hour it was available will be given a replacement Trove of Mounts after the patch goes out. Again, no CS ticket is needed. So the ability to claim was… well, it wasn’t really turned off. I guess making the test for inventory space always return that it was full was the most expedient way to disable the feature, but it is a bit of a pisser to spend 30 minutes screwing around trying to figure out the issue, when the problem is that I might not get a mount, or maybe a dupe. Anyway, we’ll see if they can fix this before the month is out. But the UI keeps reminding me that I have a reward to collect. This entry was posted in entertainment, Rift and tagged Mounts, Rift Prime on April 22, 2018 by Wilhelm Arcturus.